The Seattle Mariners lost 5-1 today and somehow, that counts as an improvement. The Mariners have now lost five straight games and they have scored precisely one run in each game. Before tonight’s loss to the Nationals, they had lost the previous three games by a net score of 34-3 thanks in large part to the mashing of the mighty Chicago White Sox. Their run differential over the past four games is the worst four-game stretch in franchise history, and it’s probably not going to get much better soon. Five runs from as many games is heinous, but Seattle’s rotation is in tatters. Not only is ace Felix Hernandez out with a dead arm, the rest of the rotation is a patchwork of rookies and minor leaguers thanks to a string of key injuries. Hisashi Iwakuma is on the DL with shoulder issues; James Paxton is working his way back from a forearm injury; Drew Smyly’s got elbow problems. Seattle kicked off their series against Washington by starting AAA-based long reliever Christian Bergman. To his credit, Bergman tossed a game against Oakland last week and only gave up two hits in 7.1 innings of work. However, yesterday, he allowed 14 hits and 10 earned runs in four innings. He finished with a Game Score of -22, which ranks it among the worst starts in baseball history. Tonight they started a 27-year-old rookie who gave up five runs in his second-ever MLB start. 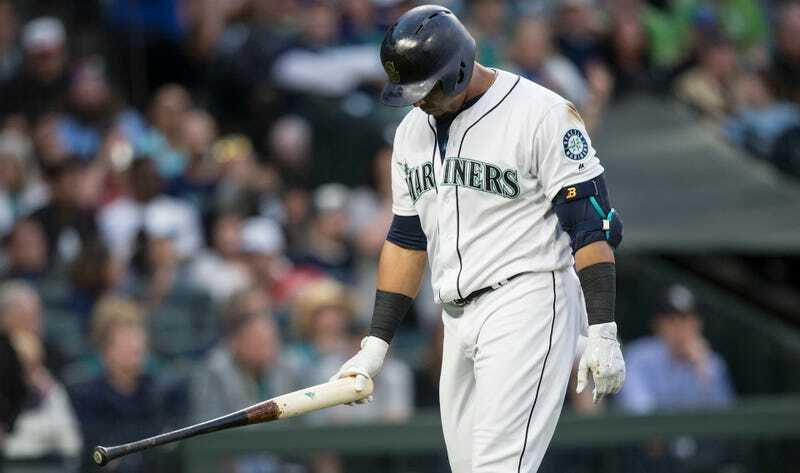 Robinson Cano is back on the other side of the ball, and struggling catcher Mike Zunino dinged his first home run of the season this week, but the Mariners have injuries all over the roster. Utility man Shawn O’Malley is out for a few months and outfielder Mitch Haniger is just starting to come back from an oblique strain. Manager Scott Servais was not sympathetic in his assessment. “We’ve got to pick up our intensity,” manager Scott Servais said. “We’re better than this. We’ve about had enough of it, and we need to dial it up. Things will not get easier for the Mariners, as they’ll soon face the Red Sox and Rockies. Looks like Ichiro’s home run might be Seattle’s greatest highlight of the year.